Detached and floating macrophytes are commonly found along beaches in Southern Australia, but few studies have investigated their associations with animals along the drift pathway, particularly in the southern hemisphere. 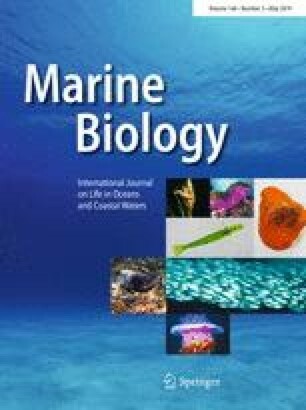 This study investigated the colonisation by macroinvertebrates and fish of natural and artificial tagged seagrass within 6 h of release and compared this to fauna found with in situ floating macrophyte clumps netted at different distances from shore in Southern Australia. We found some evidence that more macroinvertebrates may colonise floating macrophytes at distances closer to shore (i.e., 0.25 km) potentially due to shallower depths and increased proximity of source habitats. Particular fauna may stay with macrophytes as they arrive and accumulate as wrack in the surf-zone, while others may leave for more suitable habitats. Colonisation by fish to floating macrophytes was judged more likely to be for habitat and shelter rather than food resources. This study provides some further evidence for rapid colonisation of fauna and hence an important habitat function of detached and floating macrophytes along nearshore coastlines in Southern Australia. The online version of this article ( https://doi.org/10.1007/s00227-019-3505-5) contains supplementary material, which is available to authorized users. This work was supported by an Australian Postgraduate Award scholarship to R. Baring. Financial assistance for this study was provided by Coast Protection Board of South Australia, Holsworth Wildlife Endowment Fund and Nature Foundation SA. We wish to thank B. Hamilton, J. Lammachia, S. Whitmarsh, and N. Zanardo for assistance in the field and laboratory. Many thanks also to S. Murray-Jones for seeing the ecological value in this project. We would also like to thank the advice of two anonymous reviewers and the Associate Editor for improving the manuscript. This study followed the guidelines of Flinders University Animal Ethics Approval E336 and PIRSA Ministerial Exemption for scientific research (Permit no: 9902454/9902462).